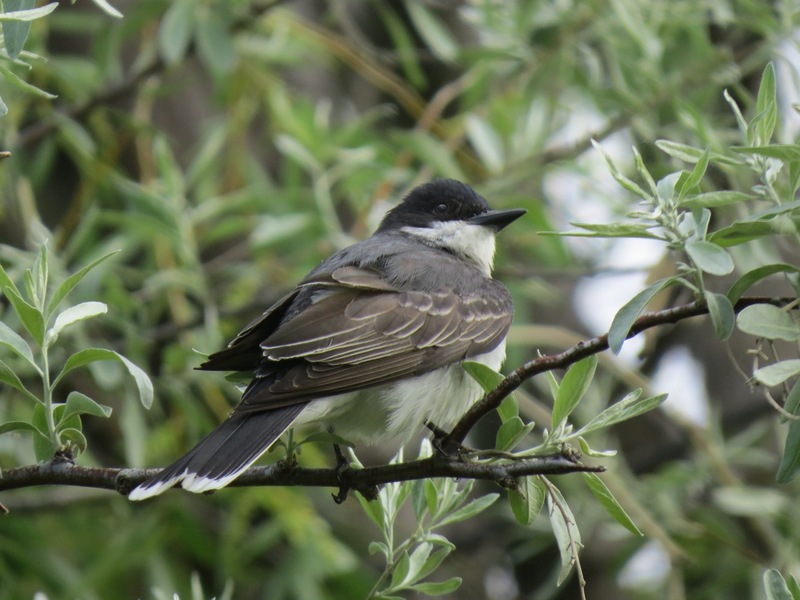 The BCFO 25th anniversary AGM and Conference, held at the Prestige Rocky Mountain Resort in Cranbrook, was a great milestone in the society’s history, and attendees enjoyed fabulous birding before, during, and after the conference. With over 80 delegates attending, birders met up with old friends, enjoyed good food, good presentations, good company and of course, good birds. Front page news in the local paper, The Townsman, BCFO’s first visit to Cranbrook was a resounding success due in no small part to the expert help of our local partners the Rocky Mountain Naturalists. 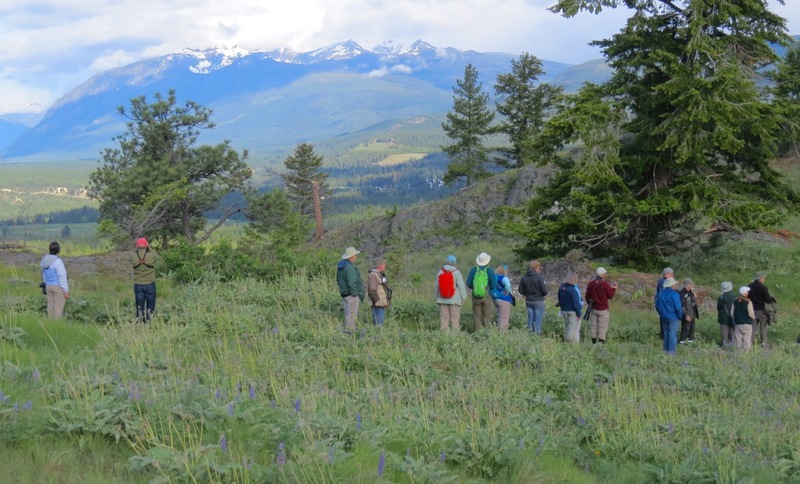 Following 5:15 am breakfasts on Saturday and Sunday, attendees enjoyed field trips to Ha-Ha Creek, Skookumchuck Prairie IBA, Spray Irrigation – Three Ponds, Wycliffe, including Lone Butte, and Elizabeth Lake. Many thanks go to local guides Alan Barnard, Dianne Cooper, Ruth Goodwin, Dean Nicholson, Greg Ross, and Daryl Calder. The Saturday afternoon technical session, prior to the Annual General Meeting proper, featured Dr.David Bradley giving a comprehensive overview of the newly completed BC Breeding Bird Atlas. Our banquet keynote speaker was Jared Hobbs, who delivered an informative and passionate presentation about the plight of both Western Screech-Owls, and Spotted Owls in BC. Chris Siddle was this year’s worthy recipient of the Steve Canning’s Award who, in his acceptance speech, graciously credited numerous BC birders who have helped and inspired him. Mike McGrenere has assumed the role of BCFO President. Marian Porter and Monica Nugent are the new additions to the board. Congratulations all! George Clulow will be sticking around as Past President, and working with the board on a number of key projects. To view the full Board of BCFO and members’ various responsibilities, follow the link here. As mentioned above, birding trips were a major component of the AGM. A full slate of trips was offered before and after the Cranbrook meeting. Gary Davidson of Nakusp, and Paul Prappas of Nelson, with key help from Craig Sandvig of Castlegar led a very pleasant two-day trip around the Creston Valley accompanied by a huge turnout of 28 BCFO members. Among many highlights were Forster’s Terns, and a Wild Turkey with at least seven immature turkeys following along. A Tennessee Warbler, which only occurs in that part of the Kootenays approximately every four or five years, was also seen well. Baird’s Sparrow, Ferruginous Hawks, with three nests located, Nelson’s and LeConte’s Sparrows, Yellow Rails, Burrowing Owl, Upland Sandpipers, Sedge Wrens, and a Northern Mockingbird. Full trip write-ups will appear in the September issue of BC Birding. What a fantastic conference and pre and post extension trip to Alberta and the pre conference Creston trip I attended was just awesome. Congrats to Mike McGrenere on becoming the new President and thank you George Clulow for all you have done for BCFO with your tireless efforts you will be missed. It was an excellent conference and as noted, much is owed to the efforts of the Rocky Mountain Naturalists. The birding trips were excellent as was all the local history information provided. Thanks to George Clulow and the Executive for all they have done to bring the BCFO to where it is today and I am sure that Mike McGrenere and the new board members will move the BCFO into an even brighter future. What a terrific week of birding, and what an excellent conference! Two days in Creston Valley, two in Cranbrook, and three more days in Southern AB. Many thanks to all the guides from Rocky Mountain Nats, to Dan Arndt of Bow Valley Birding and Wildlife Tours, and to my colleagues in BCFO for making this happen! A really enjoyable and memorable time! A very enjoyable experience. Thanks to all for the great organization. The field trips were memorable.